Sunny days are finally here and the open road is calling. 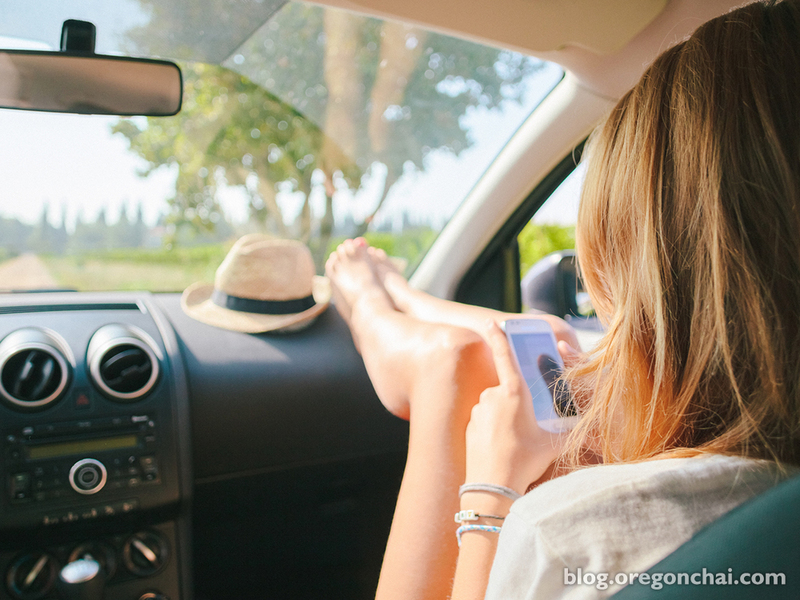 It’s time to hop in your car, roll down the windows and let the warm breeze muss your hair as you coast down one of America’s long, winding highways. Find travel inspiration with one of the road trip ideas below, and don’t worry—you can bring your chai along for the ride as well. Route 66 is America’s iconic road trip, stretching over 2,000 miles between the Midwest and California. This trip is perfect for those in a nostalgic mood. Stop for lunch at one of the many mom-and-pop diners along the way, take in the neon motel signs and admire the vintage memorabilia scattered across this timeless highway. The classic Route 66 road trip pairs perfectly with another classic, our Original Chai Tea Latte Concentrate. The Overseas Highway along the Florida Keys is one of the most breathtaking road trips in the States. Fill your travel mug with Vanilla Chai as you feast your eyes on teal tidal waters swimming with vividly colored fish. Stop at one of the many coral keys along this archipelago for snorkeling among the reefs, or peruse seashell trinkets at a quirky gift shop. The Pacific Coast Highway is a thrilling drive along the twisting coast of California. About five hours long, this cliff-hugging trip is ideal for Caffeine Free chai drinkers who only need a bit of adrenaline to feel refreshed. Revel in the mountainous expanse, dotted with quaint oceanside cottages and picturesque nature reserves. Looking for more flavors to fill your travel tumbler? Try our bold Spiced Chai or creamy Salted Caramel Chai.